Sir Francis Drake was born to Edmund Drake, a protestant farmer, in 1540. 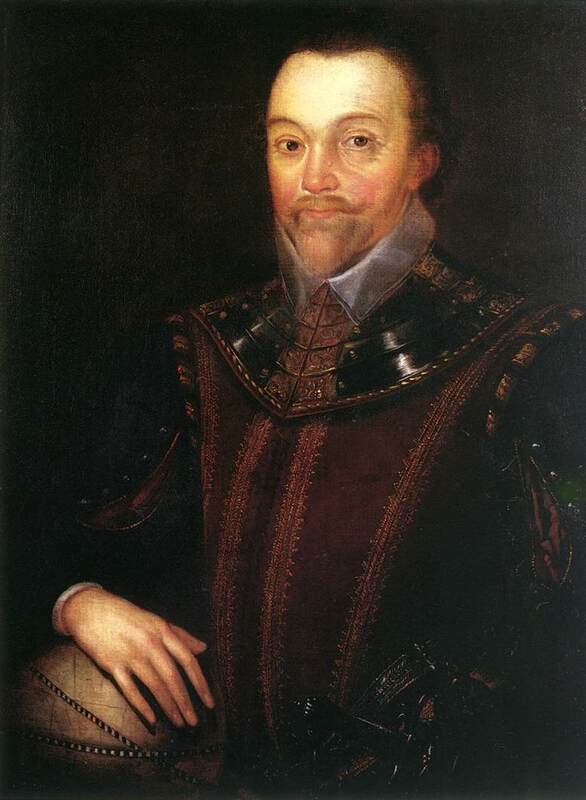 Francis Drake married Mary Newman in 1569.Twelve years after their marriage, Mary Newman died and Drake eventually married Elizabeth Sydenham in 1585.He did not have any children and his title eventually passed onto his nephew also called Francis. Throughout his life Sir Francis Drake became a thorn in the eye of the Spanish forces. He led the forces at his disposal, plundering Spanish ships and ports at will. There was a point when the Spanish feared him and King Philip II even announced a reward on his head. In 1577 Queen Elizabeth I commissioned Drake’s expedition around the world. On 15th November 1577, Drake and his crew set out from Plymouth. There onwards the crew faced bad weather, Enemy ships and Mutiny from a crew member called Thomas Doughty, to eventually reach Sierra Leone in July 1580. During the circumnavigation, Drake’s crew plundered several Spanish treasures and spices; founded Nova Albion and nearly lost their flagship The Golden Hind while travelling across what is now Indonesia. Drake and his remaining 59 crew members returned to Plymouth in September 1980.In April 1981 Drake was knighted by The Queen Herself. Drake continued his expeditions long thereafter and it was after a disastrous campaign in Spanish America that Drake died in 1596 of Dysentery and Fever.